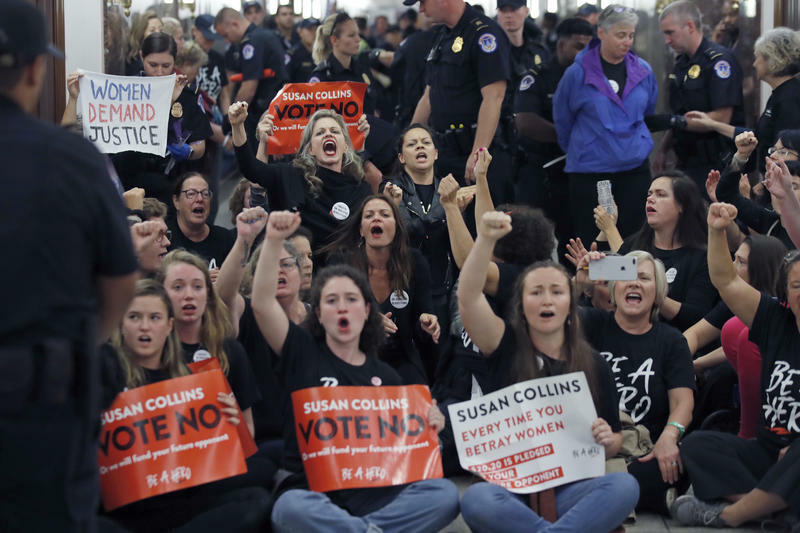 More than 100 protesters took to the street outside Senator Susan Collins' Portland office Friday afternoon, where they demanded a no vote on Judge Brett Kavanaugh's Supreme Court confirmation. 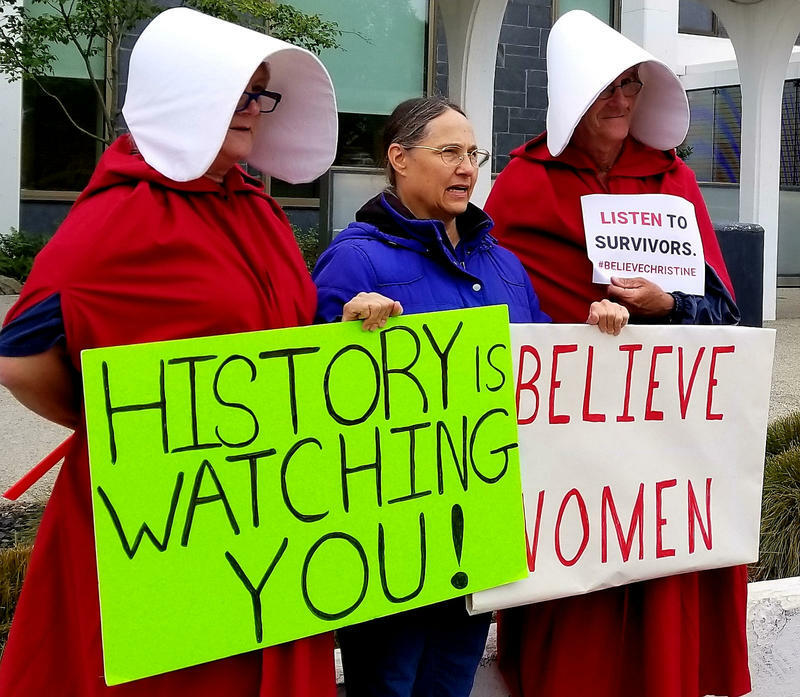 Calls to sexual assault response helplines were up dramatically in Maine and across the country Thursday as Christine Blasey Ford testified before the Senate Judiciary Committee that Brett Kavanaugh sexually assaulted her decades ago. 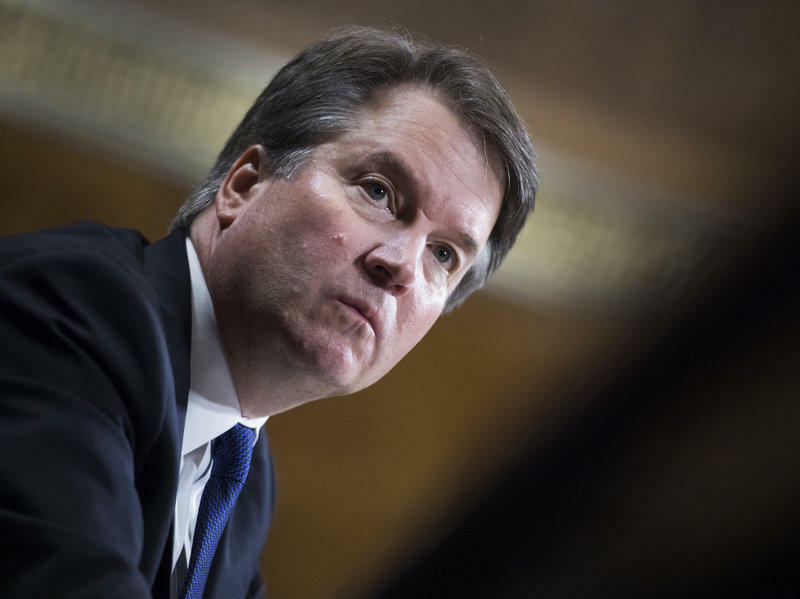 A Maine woman who once worked with Supreme Court nominee Brett Kavanaugh says she continues to stand by the judge, a day after he cited her as a character reference during his testimony. 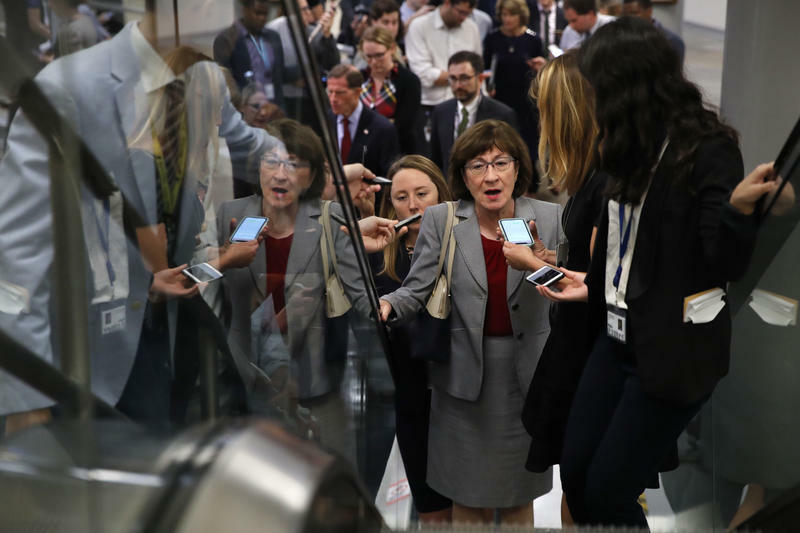 Maine Republican Sen. Susan Collins, potentially a key swing vote for Brett Kavanaugh's lifetime confirmation to the Supreme Court, is joining millions of other Americans watching Thursday’s Senate Judiciary Committee hearing. 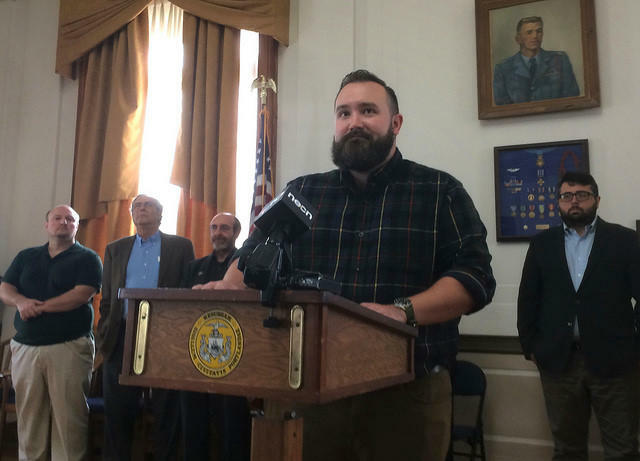 Shortly before Christine Blasey Ford began her testimony before the Senate Judiciary Committee Thursday, a bipartisan group of ten men gathered inside Portland City Hall to express their support for Ford — and their opposition to the confirmation of Supreme Court nominee Brett Kavanaugh. 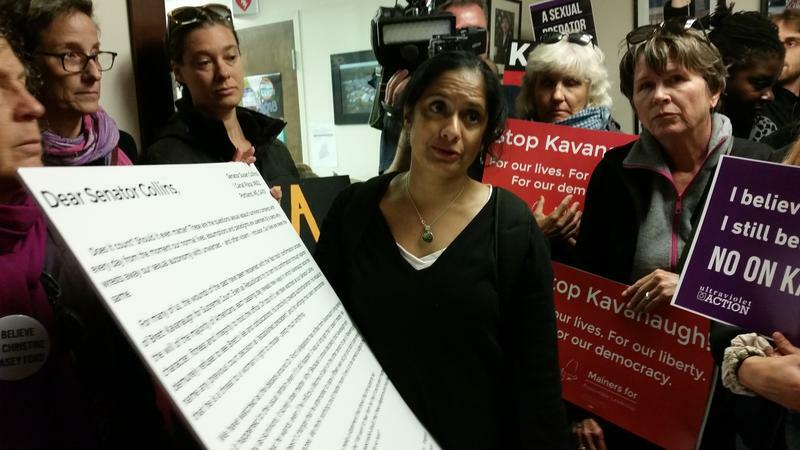 Dozens of people gathered in Portland on Monday morning to present a letter to Republican U.S. Sen. Susan Collins of Maine asking her not to vote to confirm Supreme Court nominee Brett Kavanaugh until sexual assault allegations against him are investigated. 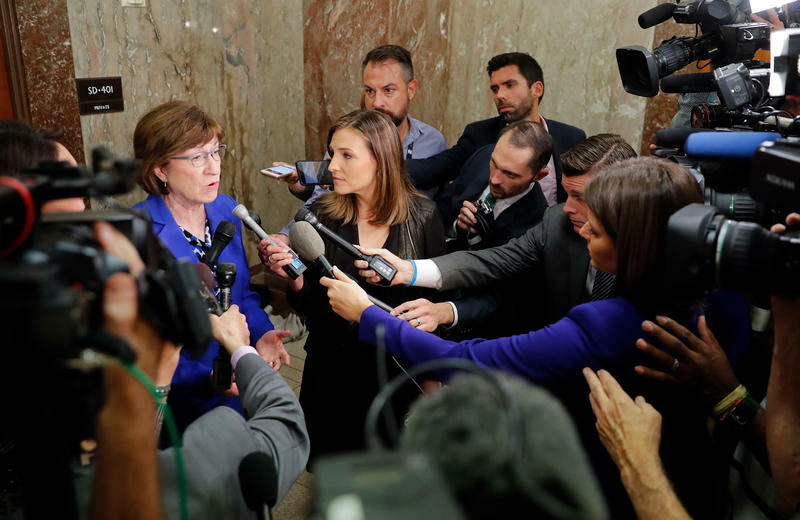 As the controversy around Supreme Court nominee Brett Kavanaugh roils Washington, Republican U.S. Sen. Susan Collins of Maine faces intense pressure at home. 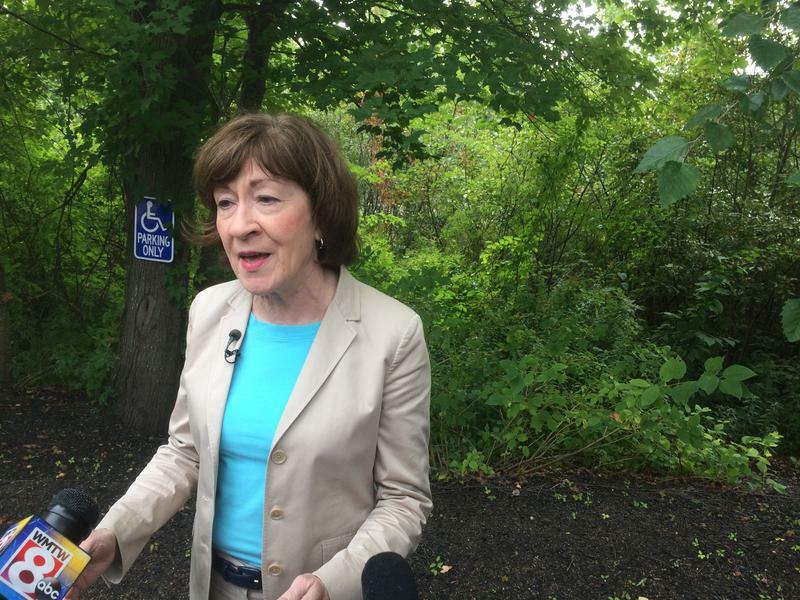 Maine Republican Sen. Susan Collins says she was appalled by a tweet from President Trump criticizing the woman who has accused his Supreme Court nominee of sexual assault. 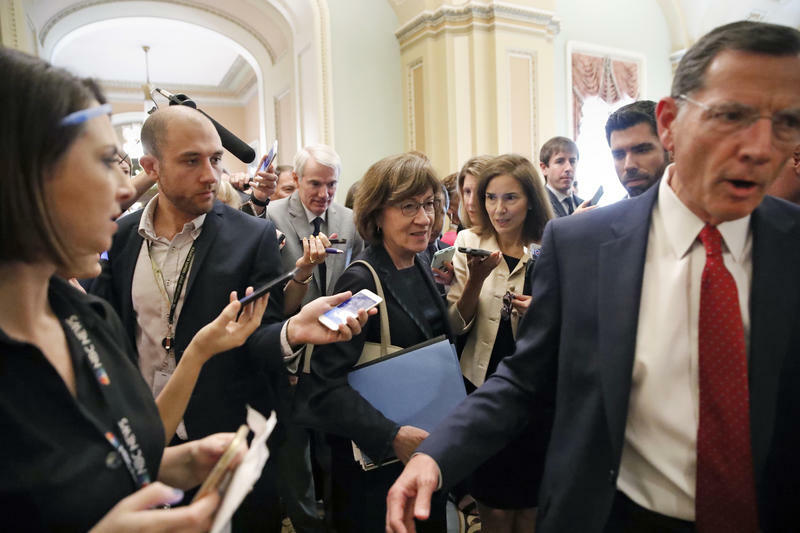 The tweet questions why Christine Blasey Ford failed to report the alleged crime at the time. 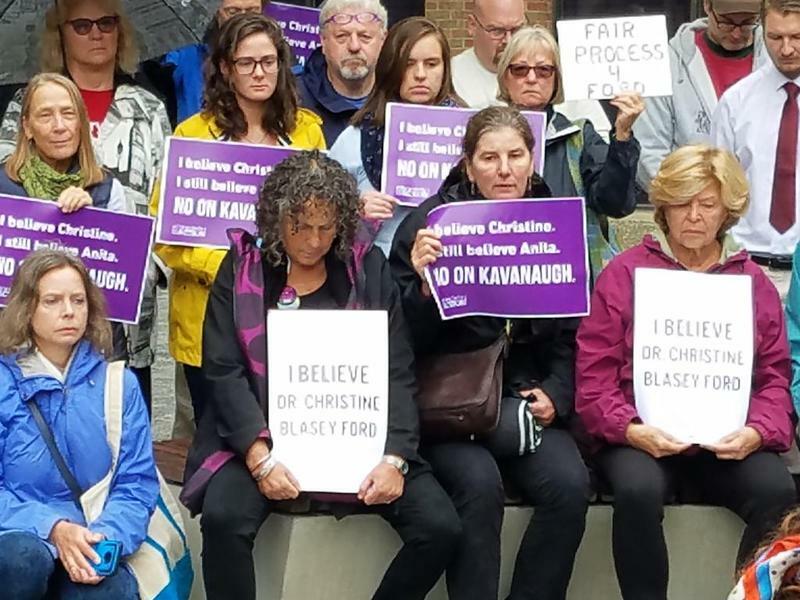 The 55 or so people who assembled outside Sen. Susan Collins' Bangor office Thursday pulled no punches, as they condemned what they view as the senator's failure to support a survivor of sexual assault. 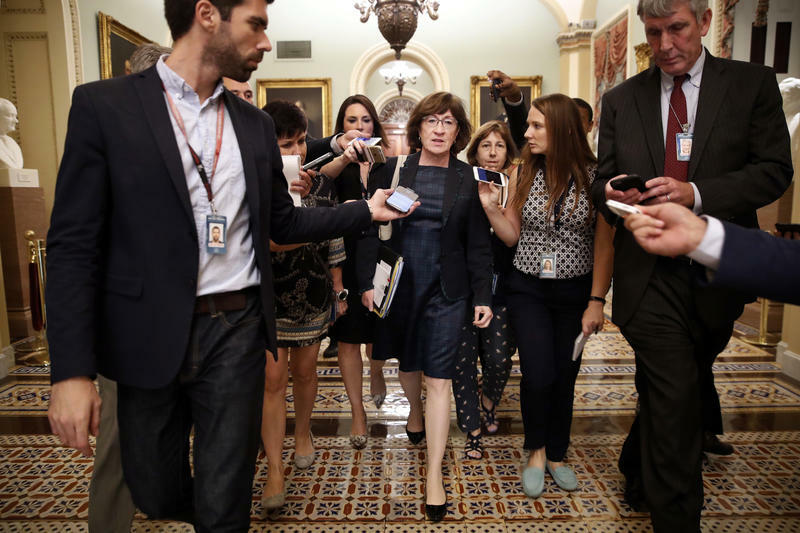 Republican U.S. Sen. Susan Collins of Maine says professor Christine Blasey Ford should testify before the Senate Judiciary Committee about her allegations that Supreme Court nominee Brett Kavanaugh sexually assaulted her in the early 1980s, but Ford wants an FBI investigation first. 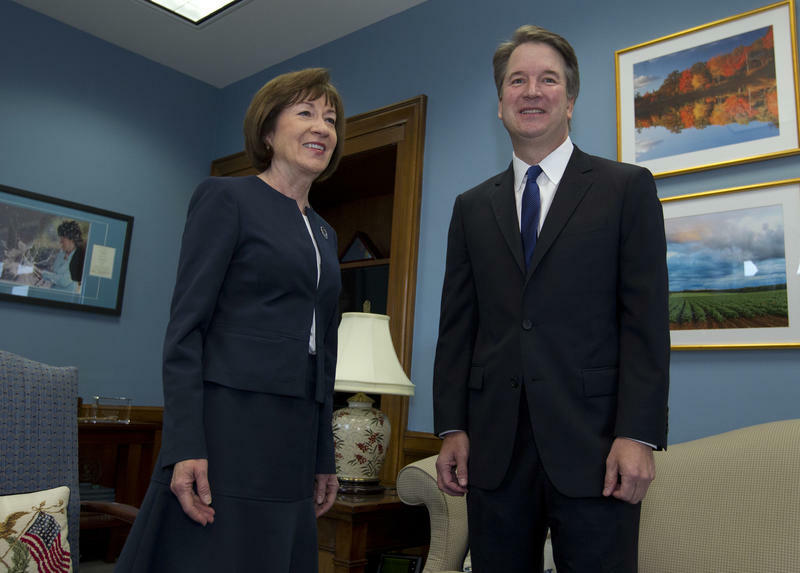 Maine Republican Sen. Susan Collins says U.S. Supreme Court nominee Brett Kavanaugh and the woman who alleges that he sexually assaulted her in the early 1980s should both testify under oath before the Senate Judiciary Committee.